Months after its highly anticipated deployment off the San Francisco coast, Boyan Slat's multimillion-dollar Ocean Cleanup system is not cleaning up any plastic. "System 001"—which consists of a 600-meter-long floating pipe with a tapered 3-meter skirt attached underneath designed to catch debris—"is attracting and concentrating plastic, but not yet retaining it," the organization admitted Tuesday. After years of anticipation, The Ocean Cleanup will launch the world's first ocean cleanup system through the San Francisco Bay and out to sea this Saturday. Five years ago, then-teenager Boyan Slat made headlines around the world for his plastic-capturing concept. Now at the age of 23, the Dutch inventor is ready to live his dream of cleaning the Great Pacific Garbage Patch, a whirling vortex of trash and plastics floating off the coast of California. The Ocean Cleanup is preparing to launch its highly anticipated cleanup system in the Great Pacific Garbage Patch. But the contraption's final design looks slightly different from the original vision. 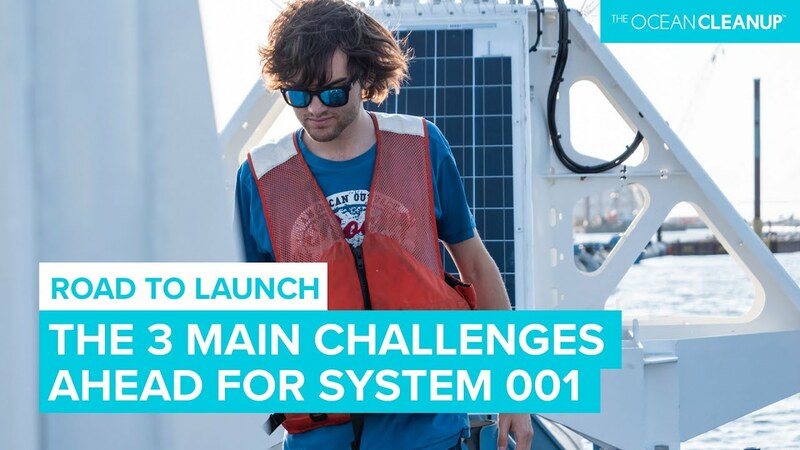 The non-profit organization, founded by 23-year-old Dutch inventor and entrepreneur Boyan Slat, aims to rid the world's oceans of plastic. The Great Pacific Garbage Patch (GPGP) floating off the coast of California now measures 1.6 million square kilometers (about 1 million square miles), according to a startling new study. To put that into perspective, the clump of trash is about the size of three Frances, or twice the size of Texas. Not only that, the analysis, published Thursday in the journal Scientific Reports, also revealed that the massive Pacific trash vortex contains up to 16 times more plastic than previous estimates—and could rapidly get worse. How Best to Rid the World's Oceans of Plastic? The Ocean Cleanup, the Dutch foundation aiming to eliminate ocean plastic, unveiled Thursday a major design update to its highly vaunted cleanup system and announced that the technology will be deployed in the Great Pacific Garbage Patch in the first half of 2018, two years ahead of schedule. The Ocean Cleanup—the ambitious Dutch venture devoted to ridding the world's oceans of plastics—announced this week that it has raised $21.7 million in donations since last November. Boyan Slat, the 22-year-old Dutch inventor and CEO behind The Ocean Cleanup, announced today preliminary results of the organization's latest major research mission, the Aerial Expedition, the first-ever aerial survey of an ocean garbage patch. "One of the things that we are already able to share is right at the edge of [the Great Pacific Garbage Patch], we came across more objects than we were expecting to find in the center of the garbage patch," Slat said at a press conference at Moffett Airfield in Mountain View, California. "During a period of just two and a half hours, our crew observed more than a thousand large objects of plastic floating underneath this aircraft," he continued. "Although we still need to get a detailed analysis of the results, it's really quite safe to say that it's worse than we thought. Again, this underlines the urgency of why we need to clean it up and that we really need to take care of the plastic that's already out there in the ocean." The Ocean Cleanup's Aerial Expedition aims to accurately measure a particularly large and harmful type of marine debris known as ghost nets. The Ocean Cleanup crew determined that quantifying such objects will help resolve the "last piece of our puzzle" following last year's Mega Expedition, a 30-day reconnaissance mission that produced the first high-resolution map of the Great Pacific Garbage Patch, but came short in determining just how much plastic was in the ocean, especially larger items. "We discovered that the conventional method of measuring ocean plastic, using nets of less than a meter (3 ft) wide, was inaccurate because it seriously underestimated the total amount of plastic. The reason for this is simple: the larger the objects, the rarer they are by count," the Ocean Cleanup team said. So, instead of using boats to count ocean plastic, the team turned to planes. To conduct their aerial survey, a C130 Hercules aircraft was fitted with state-of-art sensors from Teledyne Optech, whose Coastal Zone Mapping and Imaging Lidar (CZMIL) can detect objects at oceanic depths of tens of meters. This technology can also provide researchers with a weight estimate by registering the size of the found objects. The aircraft, dubbed Ocean Force One, is scheduled to make several flights from Sept. 26 to Oct. 7. These low-speed, low-altitude flights will inspect an estimated 6,000 square kilometers of the ocean, more than 300 times the area explored at the Mega Expedition. Yesterday, mission crew completed the first of two test flights above Moffett Airfield to calibrate the aircraft's ocean plastic sensors and familiarize themselves with the survey protocol. The aircraft flew along the Northern boundary of the Great Pacific Garbage Patch, the plastic accumulation zone between Hawaii and California. The Aerial Expedition's findings will be combined with the data collected on the Mega Expedition, resulting in a study expected to be published in early 2017. "In order to solve the plastic pollution problem, it is essential to understand its dimensions," Julia Reisser, oceanographer and expedition leader, wrote in a blog post. "Knowing how much and what kind of plastic has accumulated in the ocean garbage patches is especially important. This determines the design of cleanup systems, the logistics of hauling plastic back to shore, the methods for recycling plastic and the costs of the cleanup." Following the test flights, a team of 10 researchers, three sensor technicians and seven navigation personnel will participate on two long flights flying at a low airspeed of 140 knots and an altitude of 400 meters as it maps the garbage patch, according to Reisser. "Four experienced observers will scour the ocean surface from the aircraft's open paratroop doors, while two computer operators log the data," Reisser wrote. "The pilots and navigator will also search for ocean plastic from their seats in the cockpit, where another computer operator will log their sightings." "The carbon emissions generated by the aircraft will be offset through clean energy compensation," the team pointed out. The visual survey is the final major research mission before the actual start of Slat's ambitious ocean cleanup effort. "This is really the last reconnaissance step before we start the real cleanup," he said at today's press conference. At the young age of 17, the aerospace engineering student made headlines and inspired people around the world after coming up with a plastic-capturing concept that involves a massive static platform and long floating barriers that passively corrals plastics with wind and ocean currents. The Ocean Cleanup, headquartered in Delft, The Netherlands now employs approximately 50 engineers and researchers. 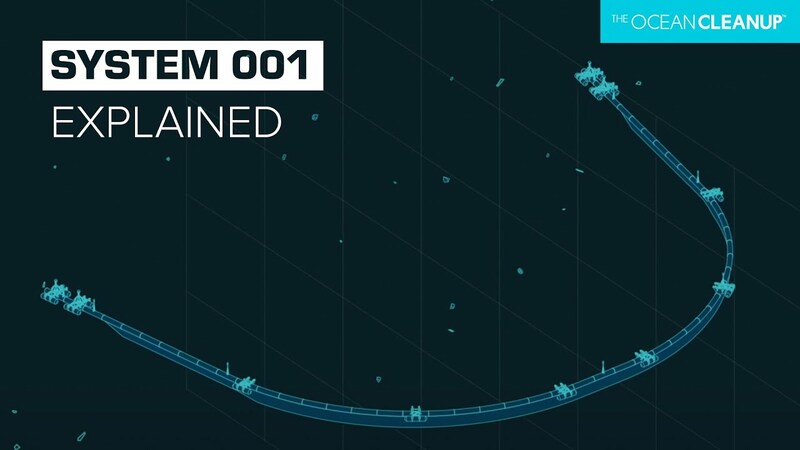 In June, the Ocean Cleanup deployed a 100-meter clean-up boom, nicknamed Boomy McBoomface, in the North Sea in The Netherlands. The organization said that the next milestone for The Ocean Cleanup after the Aerial Expedition will be its Pacific Pilot, which is scheduled for launch in the second half of 2017. The Ocean Cleanup's mission is to rid the world's oceans of plastic, a scourge that severely pollutes and damages ocean ecosystems and economies. About 8 million tons of plastic enters the oceans each year. At today's press conference, Slat warned that large pieces of plastic can "crumble down into those small microplastics ... and that has a tremendous environmental impact if it ends up in the food chain." He also noted that ghost nets can be harmful because they can cause entanglements of aquatic life as well as ship propellors. Full deployment of the Ocean Cleanup system is scheduled for 2020.